Pandan makes this drink distinctly Malaysian. In a saucepan, add in 1 cup of water, 2 cups water and pandan leaves. Stir the mixture gently until most of the sugar has dissolved on low heat. Add the remainder sugar and stir until it is completely dissolved. Set aside to cool and remove pandan leaves before storing. Boil the water and remove from heat once boiling. 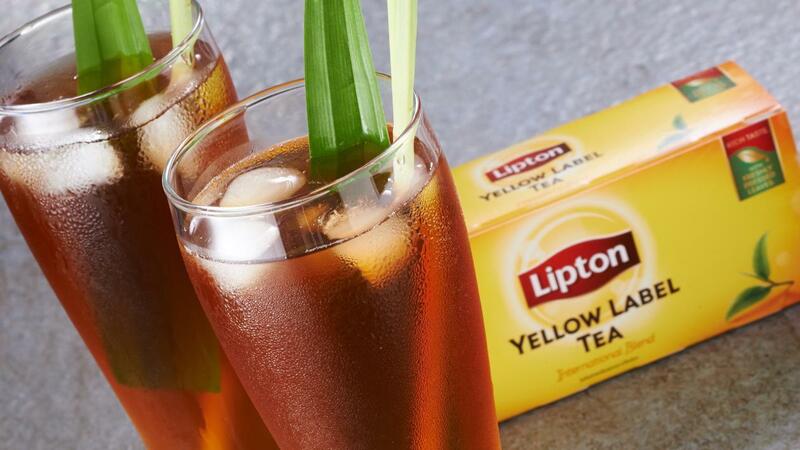 Steep the Lipton Yellow Label Tea tea bags and add a pinch of baking powder. Set aside for 10 minutes. Mix the two syrups and tea together. Serve the tea with a glass filled with ice cubes.